Hubbell-Wiring Hubbell-Pro™ 2-Pole 3-Wire Tamper-resistant straight blade receptacle in white color, has voltage rating of 125-Volt AC and current rating of 20-Amps. 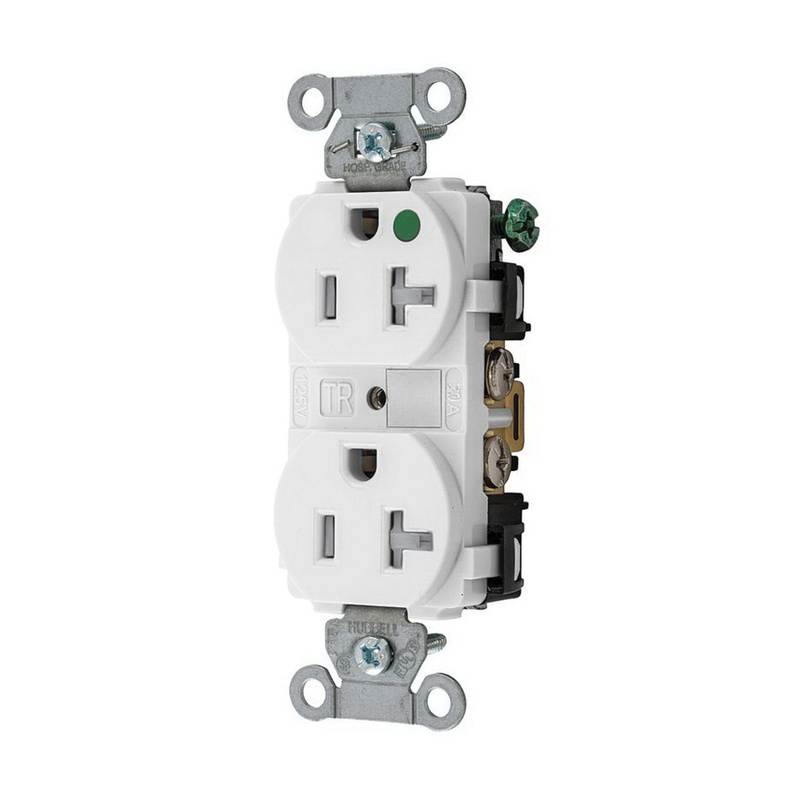 This self-grounding receptacle comes with back and side wired termination. It features nylon face. This flush mountable duplex receptacle comes in NEMA 5-20R configuration. It measures 1.57-Inch x 1.15-Inch x 3.28-Inch. This receptacle has maximum load capacity of 1 hp. It features steel strap for superior assembly security. This extra heavy-duty hospital -grade receptacle is suitable for pediatric hospitals, medical offices, psychiatric care facilities and healthcare OEM. Receptacle is UL listed, CSA certified, NAFTA and Trade Act compliant.